Football greats Fandi Ahmad, Malek Awab and Nazri Nasir will be at the Tampines Hub pitch on 22 February at 7.45pm to raise funds for the Chiam See Tong Sports Fund (CSTSF). 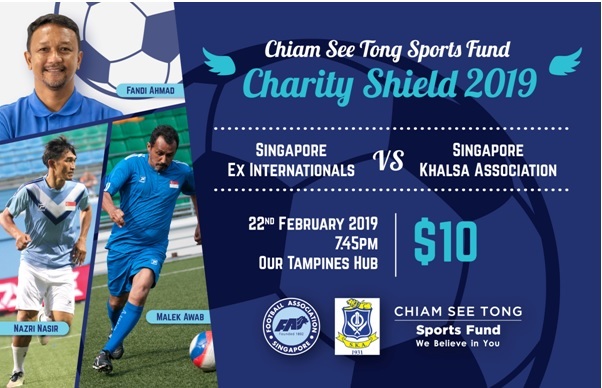 As a “come on” to the CSTSF Charity Shield inaugural event, Singapore’s Ex-Internationals will take on Singapore Khalsa Association, last season’s National Football League Division Two champions. Fandi, Malek and Nazriare are members of the Singapore side that bagged the 1994 Malaysia Cup and Premier League double. Other players confirmed to play for the Singapore Ex-Internationals side are Geylang International coach and former midfielder Mohd Noor Ali, legendary goalkeeper Rezal Hassan, former national skipper Samad Allapitchay and former striker Noh Alam Shah. 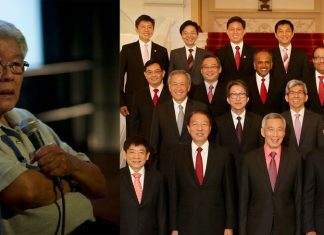 The Guest of Honor for the match will be Senior Minister of State for Law and Health Edwin Tong, who is also acts as Vice-President of the Football Association of Singapore. “We have been touched by the work done by the CSTSF to help other under-resourced athletes. This is just our small way of supporting the cause. We hope that as many football fans and members of the public come out to watch us and support the CSTSF in its mission,” Nazri added. “We are honored to do our part. This is just a small way of bringing people together to do good for society, and to provide some help to those in need,” Hernaikh Singh, President of the Singapore Khalsa Association, proudly said during an interview. Olympians Ang Peng Siong and May Ooi will have cameo playing appearances during the match. Tickets are available at $10 and can be bought from Eventbrite. Members of the public can also email info@chiamseetongsf.org for bulk purchases.